What better way to finish off a bike build than with a set of new fuel tanks from Replicant Metals. Put those old dented tanks on the shelf and stop worrying about when the next rust spot is going to turn into a pin hole leak. Turn that classic back into a rider, whether you own a J-series, a V-series or a D-series, Replicant Metals has the tanks you need. These cylinder primers from Competition Distributing put that finishing touch on your 1930 - 1938 flathead engine. Don't just cap off those primer holes with something from the plumbing isle at your local hardware store, instead accent them with these great looking cylinder primers. Plus they don't just look good, they are also fully functional. 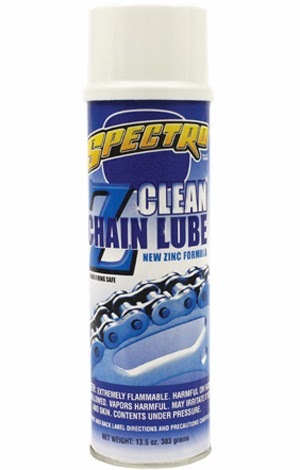 Spectro-Oils is well known for it's high quality motor oils and transmission fluids, but did you know they also make a number of other lubricants including fork oil, chain lube, assembly lube, brake fluids, cleaners and much more? Their travel size 1.5 oz cans of Z Clean Chain Lube are just the right size to throw in your windshield bag or tool pouch. Great to have on the road when you want to relube your chain after riding all day through an unexpected downpour or dusty roads. Nothing looks better than a classic motorcycle with a good set of shiny spokes. Buchanan's Spoke and Rim has every style and size of spoke you can think of and if you have an unusual application, they can custom build a set of spokes per your dimensions. 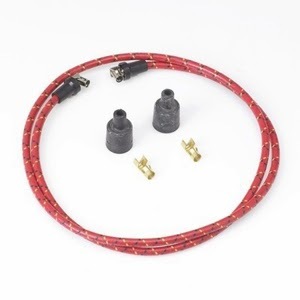 Now you can lace up a late model hub to add a set of disc brakes to your everyday rider. 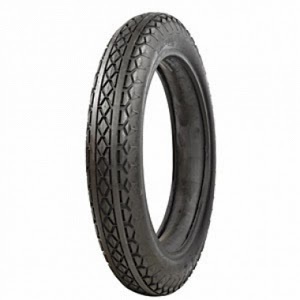 When you want a quality modern tire that still uses the vintage tread pattern that is correct for your motorcycle, look no further than Coker Tire. They've got the tread patterns and tire sizes that will make your vintage motorcycle look like it just rolled off the assembly line. Hang those dry rotted original tires on the wall and mount up a set of Coker's for a smooth safe ride. 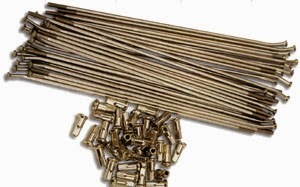 A lot of people don't pay attention to spark plugs wires, but that is no reason to use a set of generic wires from the car parts store. 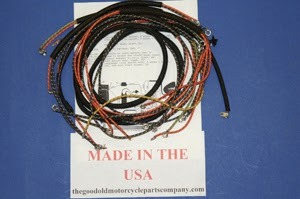 Add another vintage touch to your build with a set of cloth covered wires from Dead Beat Customs. They include everything you need to cut and assemble your own custom wires. They come in a variety of colors so you can find a set that matches the color scheme on your motorcycle or just go with classic black. Everyone prefers to use original parts on their vintage motorcycles, but no one wants to put a rusty part on a new restoration. 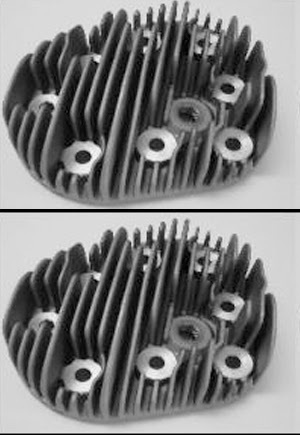 Send those original parts to Retrocycle and they'll look like new after being treated with the correct coating. Retrocycle can do black oxide, cadmium green, cadmium clear, cadmium yellow, electroless nickel, media blast w/ oil, parkerized w/ oil and shiny nickel. Get your old parts something for Christmas this year and treat them to some new finishes. No matter how much time and money you spend on your motorcycle, nothing sets off a finished restoration or custom like a good paint job. 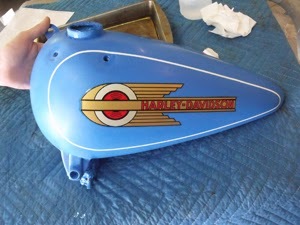 John Dill at Dills Paintworks can make your motorcycle into a masterpiece. John's work comes with one of the best references in the business, that of the Wheels Through Time Museum. Check out this year's raffle bikes if you want to see recent examples of John's work. Handlebars take a lot of abuse and if your set of vintage bars is starting to look like they've been bent and straightened one too many times, then head over to Faber Cycle for a new set. They've got you covered whether you need a set for your 1910 Harley or a set of Flanders bars for that bobber project. On a long distance ride, you don't just want a seat that looks good, you want one that's comfortable. 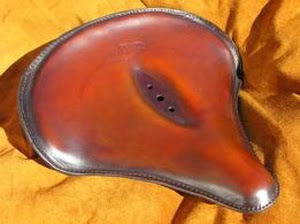 Wayne at Heather's Leathers can restore your original seat or build you a custom one that you'll be glad to ride on all day. Wayne's custom seats were used on the last Cannonball race and provided comfortable ride all the way across the country. 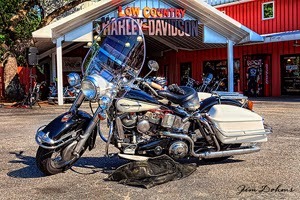 Harley's are well known for their classic sound, but if your old muffler sounds more like it's filled with lead shot, then upgrade to a new muffler from Dennis Corso. He's got mufflers for 1930 models all the way up to 1978. If your tired of cleaning and adjusting points, then EBEYOND 2000 has just the thing for you. Upgrade your ignition to a solid state electronic model and leave that points file in your tool box by purchasing a Quickstart 2000. All the parts fit inside your stock timer, so there are no modern components in sight. Ed makes versions for 1930 VL's on through to 1970's big twins. 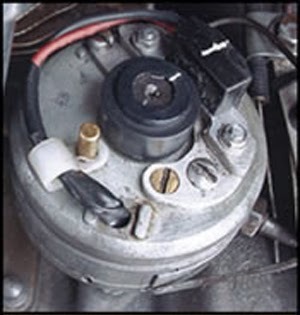 He even has a replacement for the dual point set up used on 1961 - 1964 Panheads and all his models work on 6 or 12 volts. If the heads on your 45 look like they barely made it through WWII, then consider replacing them a new set from Eastern Motorcycle Parts. Now you won't have to worry about welding on those broken fins or having your heads decked again. 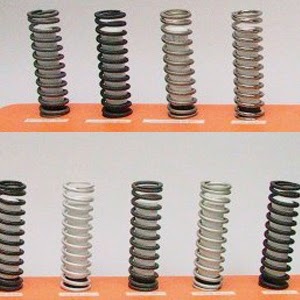 Start out with a fresh pair that will bolt right up to your stock cylinders. It's great to have an all original motorcycle, but if you plan to ride it, then replacing your original wiring harness is a must. The Good Old Motorcycle Parts Company carries stock wire looms for Harleys from the teens through the 70's and for sidecars too. Cloth covered and color coded just like the originals with the terminals already installed. 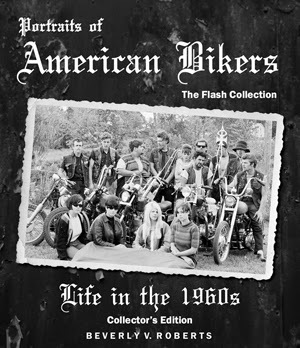 Just released last month is a hard cover Collector's Edition of Portraits of American Bikers: Life in the 1960s. Containing photos taken by Jim Miteff during his time as a member of the Outlaws Motorcycle Club, this new edition has over 50 new pages of unpublished photos and additional stories told by Outlaw members pictured within. Contact Flash Productions for your copy or look for it on Amazon. 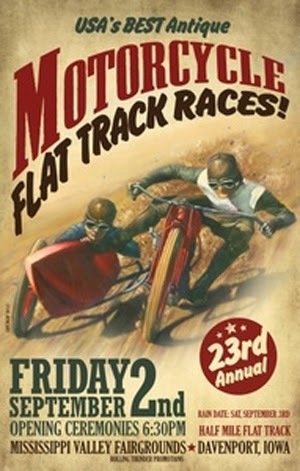 Add a little color to your drab shop walls with some posters from the National Motorcycle Museum's Online Store. With almost 200 to choose from and most of them under $10, you are sure to find something that will look great in your shop. They've got posters from movies, events, magazine covers, famous photos and more. If your looking for something a little more durable, they've got a selection of tin signs as well. Dohms Creative Photography produces incredible works of art based on the photography of owner Jim Dohms. Using a number of advanced digital enhancement techniques, Jim is able to create one of kind images from his stock photographs. He also has the in house printing capabilities to produce large format prints, dry mounts and even canvas prints. 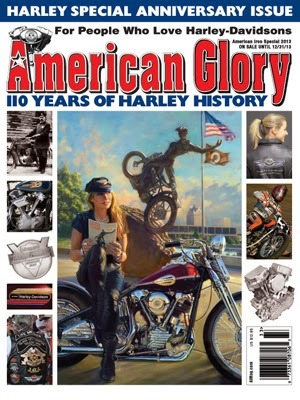 American Iron produced this special anniversary issue in honor of Harley-Davidson's 110th anniversary. It is packed with historical articles and feature bikes that any vintage motorcyclist will enjoy. It also makes a great reference that you'll look through over and over again. I recommend you pick up a couple copies while they are still available. You can find them up on the new stand until the end of 2013 or by them online at Grease Rag. You can't beat a good paper map when it comes to longevity and ease of use. There are no buttons, no batteries to keep charged and no annoying voice telling you to turn around. 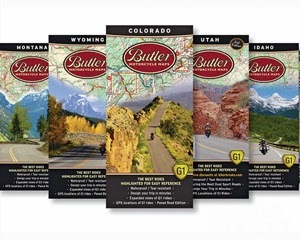 Butler Motorcycle Maps not only provide all the roads and locations you expect from a quality map, but they also highlight the best motorcycle roads. Their maps are waterproof and tear resistant, so they'll take some abuse unlike the last map you picked up from a rest stop. 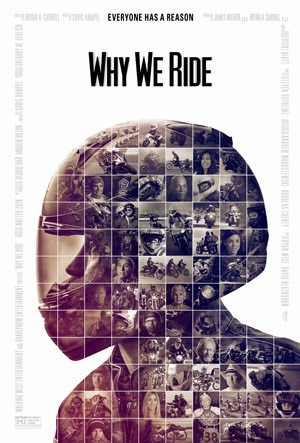 An inspiring celebration of the motorcycling community, Why We Ride is a documentary film that shares the passion of motorcycle riding and shows the camaraderie of the friends and families who ride together. As told by the many racers, riders, pioneers, and parents in the sport, the story weaves its way through generations of motorcyclists who live each day to the fullest on their two wheeled machines. The refreshing message about the joys of motorcycling, coupled with the state of the art photography, capture the imagination and set the soul in motion. Get your copy at Grease Rag. Your love for old things doesn't have to stop at motorcycles. For something truly vintage, try learning to shave like your grandfather did with a straight razor from West Coast Shaving. You'll enjoy a smoother shave and the sense of accomplishment that goes along with it. If you wouldn't put an electric starter on your motorcycle, then why put an electric razor on your face? You've spent many a restless night worrying about how to preserve the original paint on your vintage motorcycle, but what about preserving your own finish? 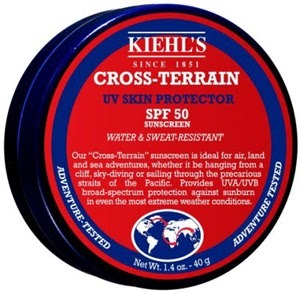 To keep your face from resembling a pair of old saddlebags, try using Kiehl's Cross-Terrain UV Skin Protector. It's made with beeswax, so it stays where you put it and won't run into your eyes from sweat or rain. Most modern luggage just looks out of place on a vintage motorcycle. No one wants to strap a neon yellow bag to the back of their '36 Knucklehead when they can have something that looks authentic and is functional. 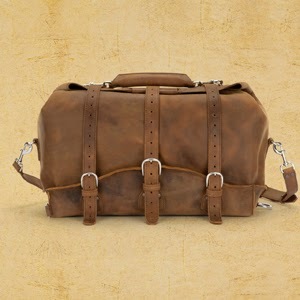 The Waterbag from Saddleback Leather is exactly what you need. Made from one single piece of leather, the roll-down top makes a watertight seal to keep your clothes dry even in the worst downpour. Comes in two sizes and four different colors, so your sure to find one that suits your needs. The Series II Exhibition Tent from Redverz Gear is not just a roomy two man tent, it's a mobile workshop. 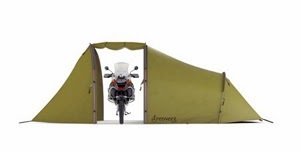 A built-in garage bay at the front of the tent keeps your motorcycle out of the elements. No one likes to break down, but imagine how much nicer it will be having your motorcycle out of the wind and rain while your making those repairs. So you want to ride your motorcycle to the office, but you don't want to wear your boots all day. Then try a set of these great looking leather spats from Gasolina. They keep your lower legs protected and clean, while still allowing you to wear regular shoes. Plus they fold flat when removed so you can store them in your briefcase or desk while at work. 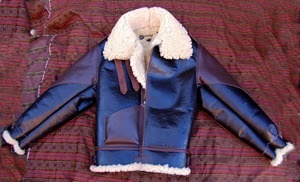 The classic B-3 jacket was first made in 1933. Designed to keep flight crews warm in the unpressurized and unheated cabins of early bombers, they have long been a favorite of motorcyclists looking to stay warm a little closer to the ground. Lost Worlds produces a B-3 jacket to the exact specifications of those produced 80 years ago. This is not a department store knock-off but a real piece of American craftsmanship. Sometimes a pair of jeans just doesn't cut it when your trying to capture that vintage look to go along with your motorcycle. 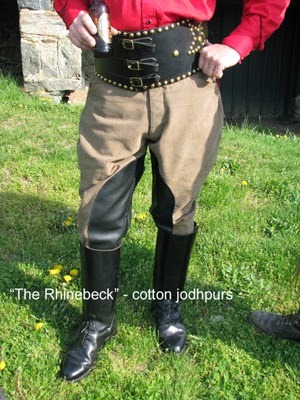 Golden Age Motorcycle Clothing produces a pair of cotton jodhpurs called "the Rhinebeck" which definitely fit the part. 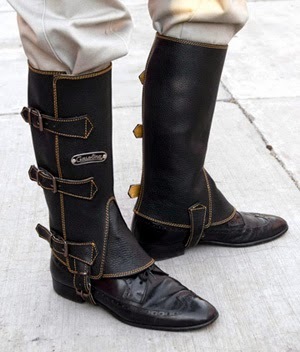 Made to be worn inside boots, these jodhpurs can be customized with a colored stripe down each leg, leather reinforcing in the knees, leather reinforcing in the seat and come in 112 colors and patterns made to order from your measurements. Add that to the two front pockets, one watch pocket, two rear pockets, button front fly, nine leg adjustments with lace up sides and a lifetime guarantee and you have one hell of a pair of riding pants. This Harley-Davidson racing sweater was modeled after the ones that first appeared in the HD Accessories Catalog in 1937. Made by the Dehen Knitting Factory, which has been producing quality apparel in Portland, Oregon since 1920, it's constructed with extra heavy weight 100% wool. These sweaters are sure to keep you warm and looking good at the same time. Available exclusively from the Harley-Davidson Museum Shop. 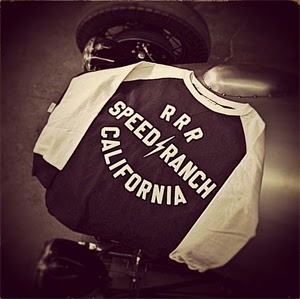 Hometown Jersey makes custom shirts styled after the motorcycle jerseys from the 40's and 50's. Made from fine gauge 100% cotton knit, the shirts are available in black, burgundy, red and navy. Once you choose your size and color, you pick the text you want applied to the shirt using felt letters. Perfect for making club shirts to wear to the next rally. The leather kidney belt has been used by motorcycle riders for the last 100 years. Great for long distance rides when you need extra support for your lower back, abdomen and kidneys. 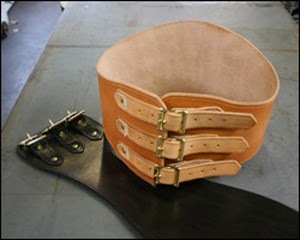 Nash Motorcycle Co. makes an all leather three buckle kidney belt that is true in form to the originals. Available in both natural leather and black, the belt comes in 7 different sizes.